This walking group meets on the 1st Tuesday of each month. Some walks now meet at 10.00a.m. depending upon the area the walk is in. Walk details appear in the monthly newsletter and on the board at the monthly meeting. Contact Roger Reynolds on 01773 788 169 for more information on planned walks. This group was amongst the first to be formed. 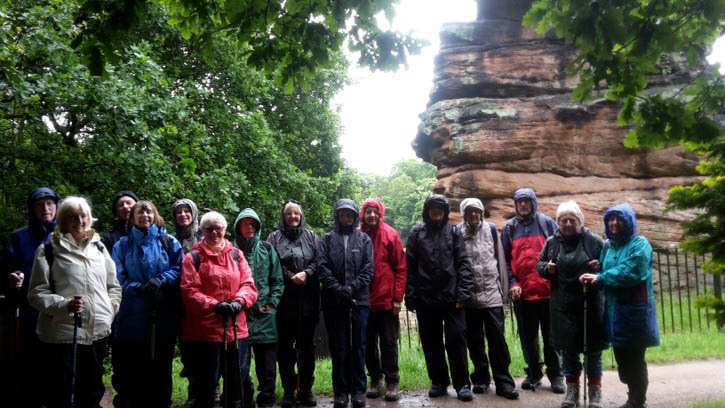 Around twenty members have turned out to walk each month. 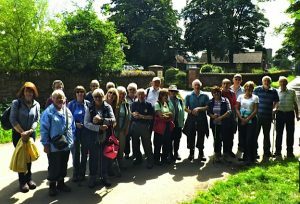 A different walk is organised each time, members of the group have the opportunity to plan a route or just turn up to enjoy the walk. May 7th 10.00 am – meet and start from top right hand corner Morrisons car park then on to Swingate/Kimberley water tower. Contact Roger Reynolds for further info on 01773 788169. 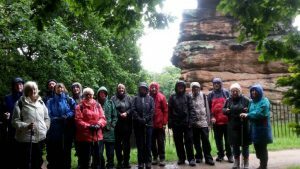 August walk 25 of us meet at Cossall and on to High Spannia, Kimberley Water Tower, Strelley Hall and back to Cossall. Out side Strelley Hall entrance.